It's incumbent upon me to report on success on my blog about success. Don't you think? I do. So please don't think I'm tooting my own horn just for the sake of it, my tens of readers, when I report to you that I've received a special mention AND a blogger award in the last few days. The blog-o-sphere, which is still a huge, amorphous tangle to me, is full of very supportive people giving each other awards. These tend to be from bloggers with not enormous lists of followers to other bloggers with miniscule ones, so we know that we aren't all standing on different mountaintops spitting into the wind. We're actually spitting onto each other. Okay, poor analogy. On to the recognition part. First, I was listed as a Funnarchist blogger by my faithful and definitely-not-related-to-me commenter Scrollwork on her blog. Once my head deflated enough to fit back inside the house, I realized I wanted to thank her. But just as I was preparing to do that, I received the following award from Andrea S. Michaels, all the way from her blog Wordy Living in Belfast, Ireland. That was pretty cool. Especially since I love Tana French novels. Pass this Award along to 15 recently discovered blogs and let them know about it. I bristle at rules, but I'll give it a go. I'm a lapsed reform jew with Buddhist tendencies; I'm short and short-tempered; I eat something chocolate every day; I love a good Spoonerism; and everything else you need to know about me is in my blog--and quite a bit more. Rule three poses a problem. I don't have a list of fifteen blogs to recommend, so I will work on that. I've got a good start from Rachel Harrie's Writer's Platform Building Campaign. I don't even know how I stumbled upon that one, but I did. In the meantime, I can pass this on to two bloggers who are friends, Lena Roy, who is sharing her experiences as a first time YA novelist and writing teacher on her blog at www.lenaroy.com; and Reyna E. for her recent post at her blog Quickly and Slowly. So, thanks, readers! I will continue to strive to deserve recognition. Recognition is a hallmark of success. Congratulations on your award, Hope! 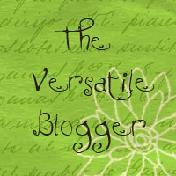 I'll check out the bloggers you mentioned, as well as the ones on your blogroll. A mind like yours is bound to favor equally fascinating minds. Congrats on the awards! Love the spitting analogy, btw. Made me smile.